If you Google “sad beach” in the images search you’ll get a lot of black and white pictures with people rolling around in the sand (related searches: alone beach, lonely beach). There was also one picture of a beached whale that really did feel sad. It’s funny though that when I think of a visual for feeling sad, I think about a beach. “What about a desert?” I ask myself. “That’s actually sad. All barren and dead.” No, a beach. “Not even outer space? Outer space is really cold and there’s no sound…” No, still thinking of a beach. Besides, beaches in Northern California are cold. “An astronaut wouldn’t think that they’re cold.” What do you know? And I can make myself laugh because I’m crazy or high on Sharpie and I can forget why I’m sad for a few seconds. Then I feel guilty about it because it’s stupid. Or maybe feeling guilty about it is stupid. I don’t know. I just know that it never gets easier to lose someone. I can never put words around it, so I’ll use someone else’s. 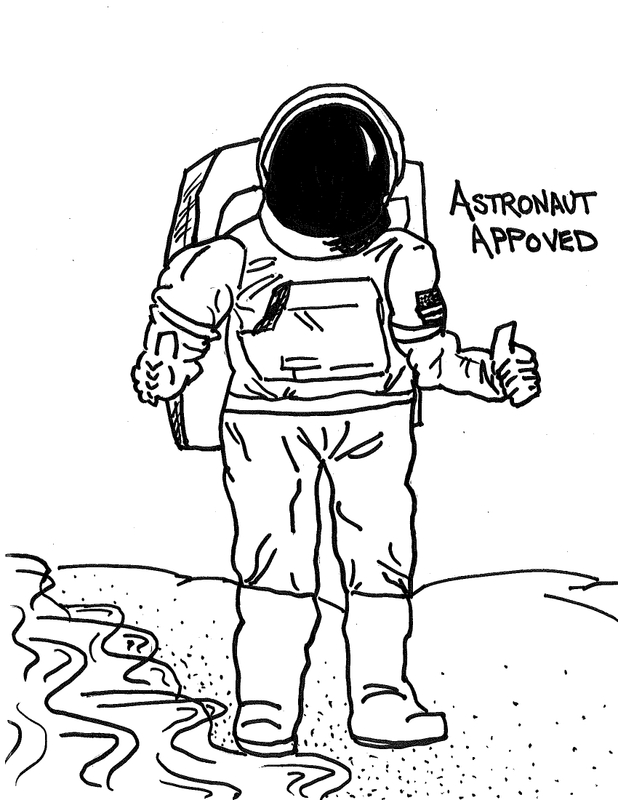 This entry was posted in Human Interactions and tagged astronauts, beaches, death, stars. Bookmark the permalink. It never does get easier. This seems to imply that you have lost someone recently and I am sorry for that. I do love the quote you chose to express your loss. It is lovely. I hope your sadness lessens soon. I feel like I need to know why you googled sad beaches. I always end up being weirdly vague about this sort of thing, but I had a young family member pass away. Oh, I’m so sorry to hear that. I am feeling a little beached whaly now. 😦 Take care of you. That is very interesting on how you view a beach as a sad place. but then I kinda thought about it after I read your blog and , dang, I can see why she thinks that. I’m sorry for your loss. Your quote fits perfectly. Add more warm sun to your fantasy sad beach, make the water bluer, the sand smoother, and familys playing. Soon this sadness will pass. Sending warm hugs your way! So sorry for your loss. It’s never easy, but don’t feel guilty for wanting to escape the feeling for a while. Oh, I’m very sorry to hear about this. My condolences to you and your family. I grew up on a beach. They are reflections of what you are and what you feel. And now I’m afraid you are feeling a loss. Having had way too many losses way too close together, go to the beach. Feel what you need to feel. You have a hole in your heart that will feel less raw over time. But it I s a hole. So sorry for your loss. My condolences to you and your family. I don’t mean to be insensitive about your sadness, I appreciate that loss is very hard. I’ve loved and lost. Time heals. But have you tried Googling “Happy Beaches” yet? Apparently, from the image research, the “happy” people on a “beach” are the ones trying to jump as high as they possibly can. Can’t say I’ve tried jumping on a beach, but maybe it’s the key to happiness.. on a beach? Or maybe I’m just being silly. Nah, that can’t be it. Take care Rae. No, you’re right! It’s good to take stock of all the positive things in the world. It’s easy to get caught in seeing everything through your own sadness. Jumping on a beach sounds fun, and I bet it gives you a good workout too!